Have you ever wondered who’d be your knight in shining armour if you ever got lost in the English wilderness? Luckily for you, Nev [Search and Rescue Dog Association founder and president], his gang of handlers and their pesky canines are of service; suited and booted in their BOGS footwear, rucksacks and with dog treats aplenty. We were lucky enough to chat with Andy, from SARDA England, a veteran Search and Rescue handler with 37 years under his belt. 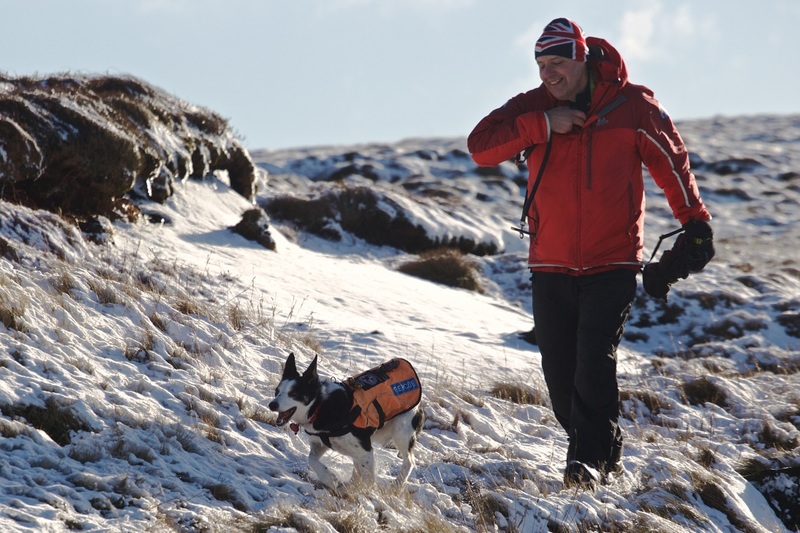 As a member of the Cave Rescue Organisation since 1976 and never without his trusty sidekick Belle (Andy’s fifth Search Dog) by his side, the duo respond to Cave and Mountain rescues within a 900 square mile area of the Yorkshire Dales. How long has Belle been a SARDA volunteer, and how long did it take you to train Belle in the art of finding people? 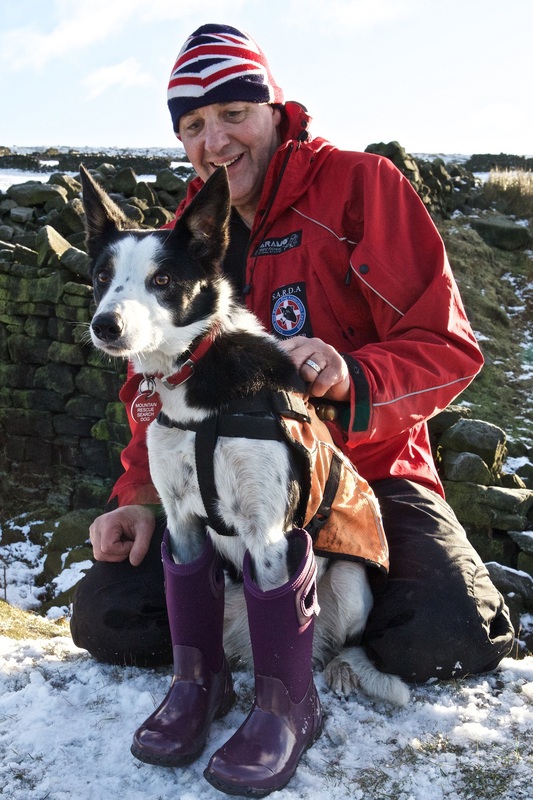 Belle has been working as a fully trained Search and Rescue Dog for SARDA for a year and a half, and it took her three years to complete her extensive training. Does Belle enjoy working for SARDA and, if so, how can you tell? Belle loves being a Search and Rescue dog and gets very excited when I put on her working coat; she knows we’re off on an adventure and can’t wait to get going! How often do you get out each month with Belle? With SARDA we get out between six and eight times a month. Most of these, however, are training sessions to keep Belle on her toes. What wouldn’t you leave home without when on a call out? If you were to give outdoor walkers and enthusiasts three things they must take on a mountain walk to keep them safe what would they be? Group shelter is essential, should the weather take a turn for the worst, and I’d recommend a Kisu emergency storm shelter. A map and a compass (it also helps if you know how to use them!) as well as a first aid kit, food and torch. Would you recommend SARDA and, if so, how would someone interested get involved? SARDA is the best and most important organisation that I have ever worked with. 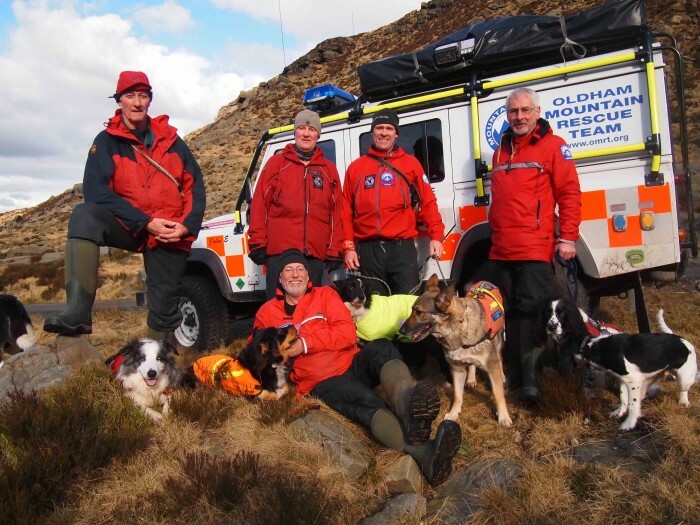 SARDA Search Dog Handlers, although unpaid, act professionally, are trained to the highest standards and are all very experienced Mountain Rescue personnel ready to assist anyone in danger.